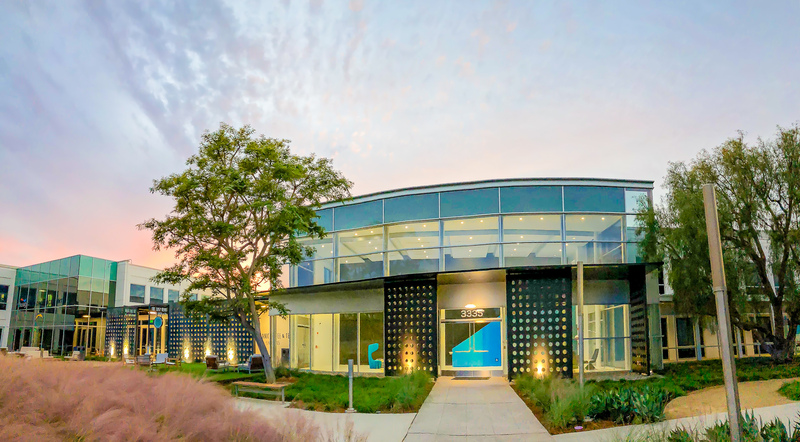 With over forty miles of glistening coastline, almost 300 sunny days out of the year, AND a burgeoning tech scene — it’s not too hard to guess why Coding Dojo is opening it’s 10th location in the ‘citrusy’ heart of Southern California: Orange County. “Orange County is second in the country for diversity when it comes to tech — and that’s a span of aerospace to software to start-ups, there’s a really great start-up community there and it’s growing,” explains Danny. “I love that we’re very diverse so we can apply that diversity to our students and be able to better serve them. With five of our Alumni already holding engineering positions at the Internet of Things company TensorIot, Coding Dojo roots have already begun to grow deep in OC. Moreover, prominent companies in the tech industry like Mophie, Blizzard, and Mavenlink are all headquartered in OC. The new campus is notable in and of itself — a space Coding Dojo will share with the Los Angeles Chargers, where students will be able to catch views of football team’s practice field. Ultimately, Coding Dojo is most excited for the prospect of serving a new diverse set of students, in a new region, where opportunities are waiting to happen. “I’m so excited to email everyone on our list and let them know that we’re opening!” exclaimed Danny. Course dates are set for January and February, and they’re filling up fast. To join Coding Dojo at our state-of-the-art OC Campus this winter season, apply right away!